My foundation collection is growwwing. And thank you so much to the LA Girl PR team for sending me this to try out. I would never have opted for a matte foundation as I have dry skin and dewy foundations always looked better. The foundation comes in your standard 30ml glass bottle. This ones a little different to the original HD foundation, this one is a little skinny in a matte bottle. It comes with a pump which is always a pro! The foundation is available in 14 shades - I think this is a pretty good gradient of shades along the spectrum. I'm currently using the shade Light Tan which is a good shade for me, it is the tiniest, tiniestttt bit of the lighter side but my bronzer fixes that straight away. I reckon in the summer months I would have to opt for Soft Honey. "Pro. 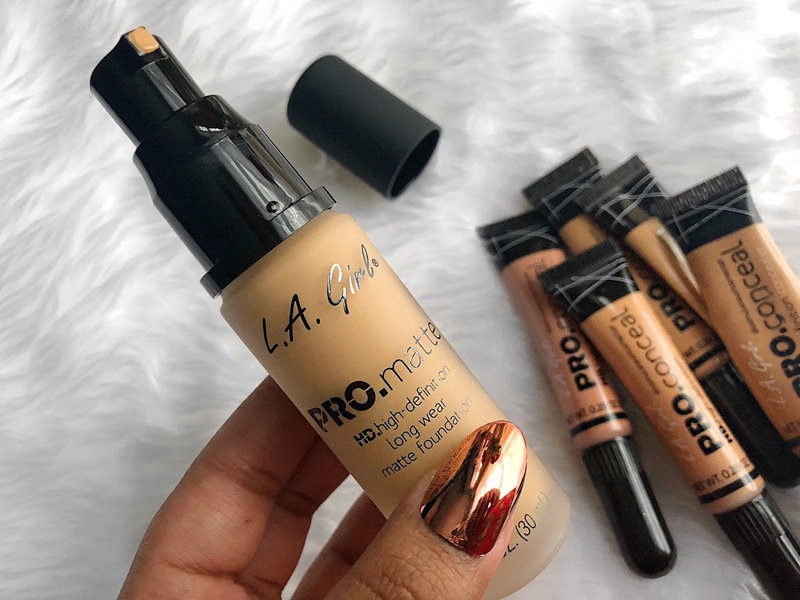 matte high-definition long wear matte foundation's smooth and creamy formula glides onto the skin, offering a medium to full coverage. Lightweight formula leaves the skin looking airbrushed and soft to touch, providing a matte, suede-like finish that lasts all day. Pump allows for a mess-free application. Simply pump, and apply to the face with our blending sponge or our angled buffer brush for the perfect finish". First things first, I have dry skin so I prepped my skin well with a good moisturiser and primer - focusing on the areas that tend to feel the most dry. 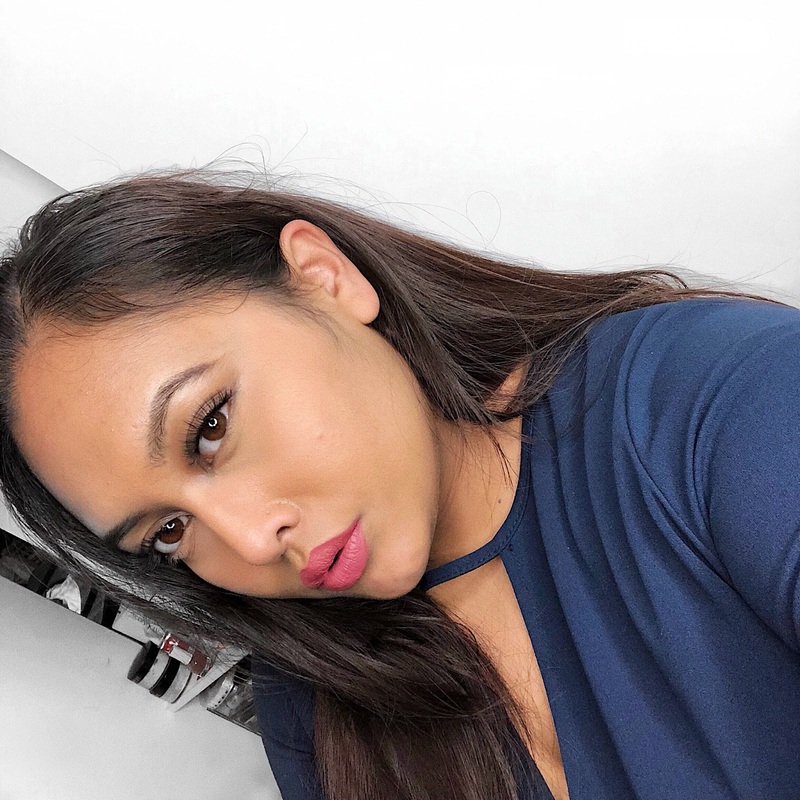 I used one pump and applied the foundation as I do every other foundation - with my holy grail damp Beauty Blender Pro [shop here]. As soon as I started dabbing it into my skin, it blended in so beautifully, into a soft matte, powder-like finish. It had a really good medium coverage and it didn't feel like I had any foundation on my skin at all. My skin was still peaking through, which isn't necessarily a bad thing. I like my skin to look real, and to be able to breathe underneath makeup. But if you were to add another layer, it would be a medium to full coverage finish. My concealer, setting powder, bronzer and highlighter blended really well on top of the foundation, nothing was left looking patchy. It lasted me an entire work day which is roughly 11-12 hours from when I apply it in the morning all the way until I am home in the evening. It wears really, really well! And I was so surprised as my skin is very much on the dry side and this is a matte foundation. I didn't need to touch up throughout the day even after lunching. 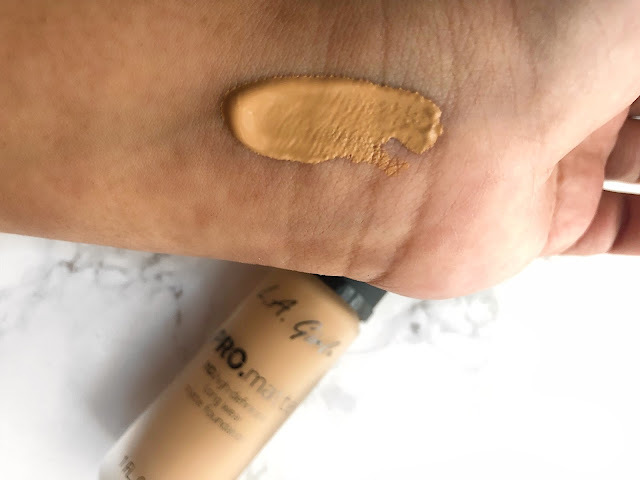 If you're looking for a long lasting, matte foundation with great coverage and is affordable, this is the one for you. And I know I keep mentioning it but I'm so so glad it looks flawless on my dry skin. I can't find a single fault.